For your stylish taste buds Preston and Olivia deliver all kinds of wedding accessories. 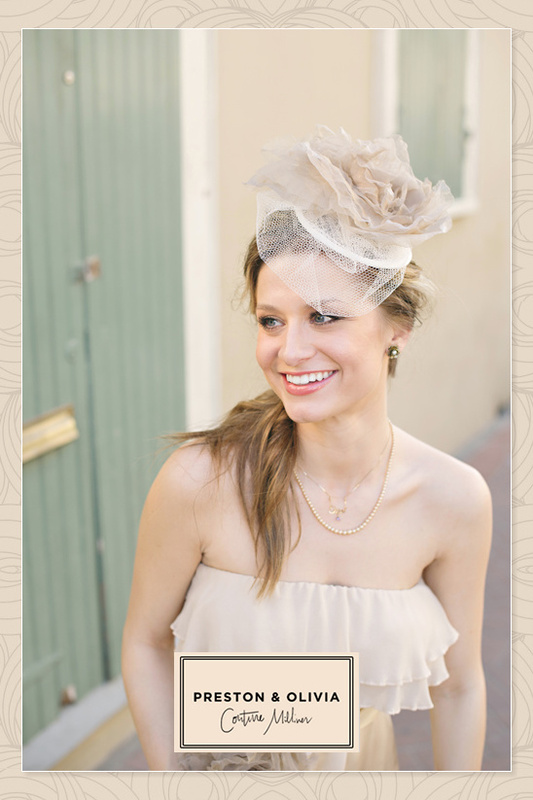 Ranging from modish headbands to classic and feminine fascinators, as well as some perfectly pretty sashes. You must see her newest collection, la belle marie by clicking here. To visit their actual store head on over here. 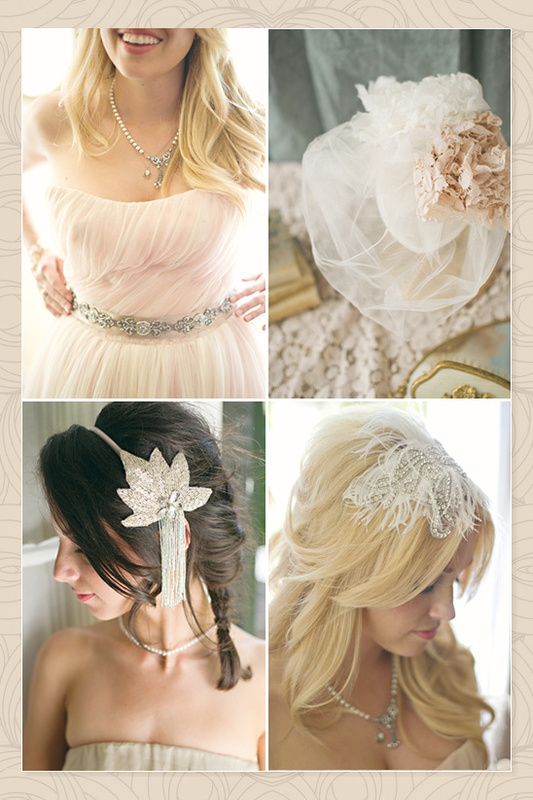 We propose letting one of these little couture headpieces take center stage accompanied by an organza and lace gown. How could you go wrong?